Hiroshima, located in Japan's Chugoku region, boasts many amazing sightseeing destinations. 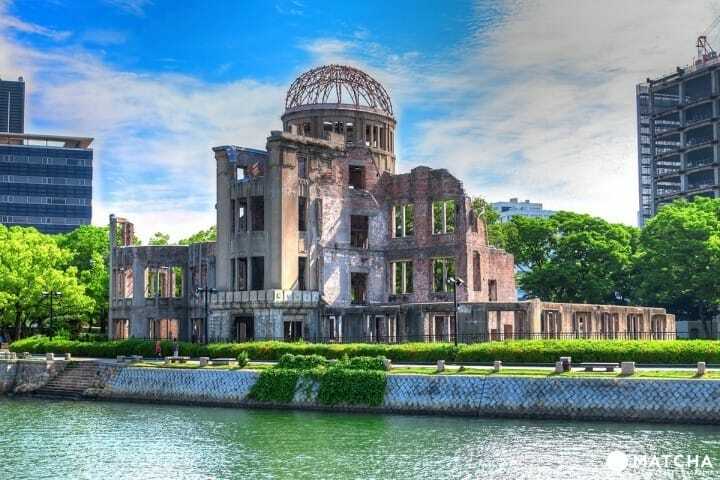 This article introduces Hiroshima's must-see spots, six local food for which the area is famous, the best souvenirs and other useful information! What Kind of Place Is Hiroshima? Hiroshima Prefecture is located in the Chugoku region. The prefecture, surrounded by mountains to the north and east, faces the Seto Inland Sea. Hiroshima City prospered industrially and commercially before the Second World War, and it is still the largest city in the Chugoku and Shikoku regions. On August 6th 1945, an atomic bomb was dropped on Hiroshima, causing devastating damage to the city. The Hiroshima Peace Memorial Park, built near ground zero, has become a place of historical interest. This understated memorial, featuring the figure of a clock stopped at 8:15 am, the time the bomb dropped, is one of the many traces this tragic event left on the city. On a lighter note, Hiroshima is also famous for its local cuisines, such as the Hiroshima-style okonomiyaki, Kure hoso-udon (thin udon noodle specialty) and tai-meshi (rice cooked with seabream). This article contains everything you need to know about the charming city of Hiroshima. If you plan to head directly to Hiroshima from Narita Airport, there are three airlines to choose from: ANA, Spring Airlines and IBEX Airlines. The fare ranges from 9000 yen to 25,000 yen, and there are three flights every day. The flight takes about one and a half hours. There are also direct flights from Haneda Airport, operated by JAL and ANA. The fare ranges from 9000 yen to 25,000 yen, and the flight takes about one and a half hours. The limousine bus headed for the Hiroshima Station Shinkansen-guchi (ticket gates) will take the passengers directly to the station. The ride takes about 45 minutes, and IC cards such as "PASPY" and "ICOCA" can also be used. The one-way bus fare is 1340 yen for adults, and 670 yen for children. There is also a round-trip ticket, valid for seven days after the purchase, priced at 2420 yen for adults, and 1210 yen for children. You can use the Shinkansen after sightseeing in the Tokyo area. The train ride takes about four hours, and the one-way, normal reserved seat ticket is 19,080 yen. A round-trip ticket will make the one-way fare from Tokyo to Hiroshima 17,910 yen. Four trains leave for Hiroshima every hour. From Osaka, the shinkansen is the fastest way to directly travel to Hiroshima. The ride takes about one and a half hours, so it's possible to make a one-day trip. From the Shin-Osaka Station, passengers can choose from five trains: Hikari, Nozomi, Kodama, Sakura and Mizuho. The last two trains are operated by JR West. The fare is about 10,000 yen, including the basic fare and the charge for a reserved seat. If you're lucky, you might be able to ride the "Evangelion" Shinkansen that runs for one round trip on the service dates until March, 2018. This special train leaves Shin-Osaka at 11:32 a.m., and the special interior car (car no.2) is non-reserved seats only. Please note that an advance reservation or a purchase of exclusive items are required for the "Full-Size Cockpit Riding Experience." For further information, check the official site. Riding the highway bus from Osaka to Hiroshima is another option. The time varies from five hours to eight and a half hours, and the fare ranges from 3850 yen to 5850 yen, about half of the shinkansen ticket price. If you need to save on the traveling expenses, the bus may be the right choice. Next PageGetting around in Hiroshima and its main areas are on the next page.